For the 24 hours of Cyber Monday on Nov. 28, 2016, 30 hotels & resorts are offering serious savings during the shopping holiday. Most properties are offering one-day sales on Cyber Monday beginning at midnight EST on Nov. 28, during which travelers can find exclusive travel deals with up to 50% in savings. Additionally, a handful of properties have extended booking windows open until Nov. 30. All offers are currently available for consumers to view at www.CyberTravelDeals.com and will be available to book on Nov. 28. Although it’s a one-day only booking window, many offers are valid for travel throughout 2016 and into 2017. Participating hotels and resorts are in domestic and international destinations ranging from the crystal clear waters of Florida’s east and west coasts to the beaches of the Caribbean & Mexico to the hills & mountains of Latin America. Offer: 30% off best available rates guaranteed, rates start at $212/night. SPG Members save an additional 5%. Booking Window: November 28-30, 2016. Valid for travel: May 1 - September 30, 2017; Minimum two night stay; NYAH 4-single bed room type only; blackout dates apply. Offer: Stay three nights and receive 30% off with rates starting at $205. Valid for Travel: Now through February 16, 2017. How to Book: www.longboatkeyclub.com with promo code CYBER16. Booking available from November 28-30, 2016. Offer: Stay three nights and receive 30% off with rates starting at $135. How to Book: www.lidobeachresort.com with promo code CYBER16. Booking available from November 28-30, 2016. How to Book: jupiterbeachresort.com with promo code CYBER16. Booking available from November 28-30, 2016. Offer: 15% off best available rates with rates starting at $186. How to Book: StantonSoBe.com with promo code 444. Advance deposit required. Booking Window: November 25, 2016 at 12:01 a.m. EST -- November 28, 2016 at 11:59 p.m. EST. Offer: 30% off with rates starting at $99. How to Book: Book online via www.wminneapolishotel.com, or call 1-877-782-0150 and ask for Our Biggest Sale of the Year. Available to book from November 19, 2016 - December 4, 2016. How to Book: Book online via www.lemeridienchambers.com, or call 1-877-782-0150 and ask for Our Biggest Sale of the Year. Valid for Travel: November 28, 2016 – March 31, 2017. How to Book: www.miramonteresort.com with promo code TBD. How to Book: ParadisebyMarriott.com with promo code 444. Advance deposit required. Offer: 15% off with rates starting at $152/night. Valid for Travel: December 9, 2016 - January 16, 2017. Blackout dates December 28-29, 2016 and January 13-14, 2017. How to Book: www.marriottsanjuan.com with promo code 444. How to Book: Visit www.turtlebeachresortbarbados.com and enter promo code CYBER1 or click here. How to Book: Visit www.crystalcovebarbados.com and enter promo code CYBER1 or click here. How to Book: Visit www.tamarindbarbados.com and enter promo code CYBER1 or click here. How to Book: Visit www.thehousebarbados.com and enter promo code CYBER1 or click here. Offer: Up to 15% off best available rates for leisure travelers and up to 20% off best available rates for Marriott Rewards Members. Advance deposit required. Aruba Marriott starting rate: $224 for Marriott Rewards Members and $238 for leisure travelers. Valid for travel: May 01 - July 02, 2017 and August 27 - October 29, 2017. How to Book: www.palazzovictoria.com with promo code SPECYB. Jaipur, ‘The Pink City’ or sometimes ‘The Red City’, is the capital of the Indian State of Rajasthan. The name of the city is due to its distinctive Pink or Sandstone Red colored buildings. 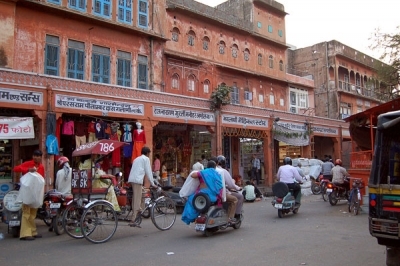 The color of the buildings in the old town is attributed to the Ruler Maharaja Ram Singh, who painted the town pink to welcome the Prince of Wales who later became King Edward VII. Pink is a color associated with hospitality and that is what the city till date, is known for. 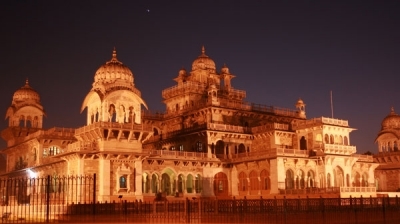 The city was founded in 1727 by the Kachwaha Rajput Ruler Sawai Jai Singh II and is named after him. The city was planned by an architect from Bengal named Vidhyadhar Bhattacharya who used the ancient town planning methods of the Vedic Vastu Shastra, and was the first planned city in Pre- Modern India. The Ruling Clan of Kachwaha Rajputs was considered the most powerful of all the warring Rajput clans in Rajasthan due to their friendly relations with the Mughals and then The British. The friendly relations with the powerful allies led to the city’s economic growth and it became the largest city in the State of Rajasthan. 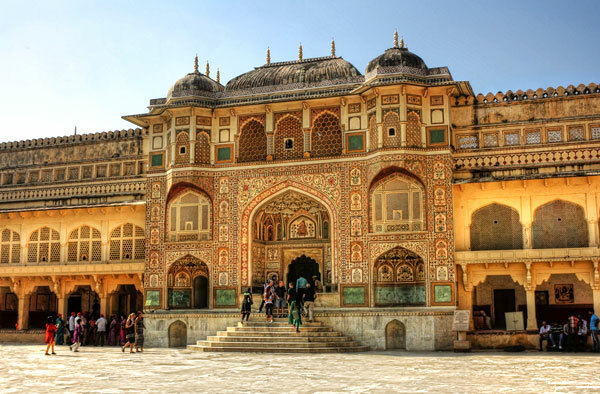 Start your day by visiting the Amber or Amer Fort. 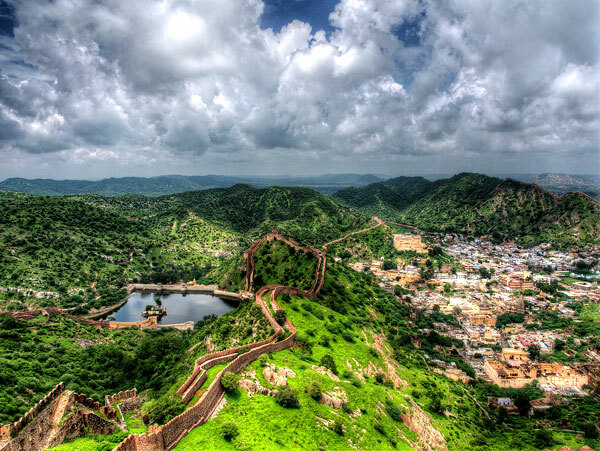 The fort’s exact location is in the town of Amer which is at a short distance of 11 kilometers and is built on the hillocks of a medieval sacrificial mountain which is a part of the Aravalli Mountain Range and the home of the Kachwaha Rajputs. The fort as we see is built on the remnants of an older fort which was built by Raja Man Singh, the King of Amer. 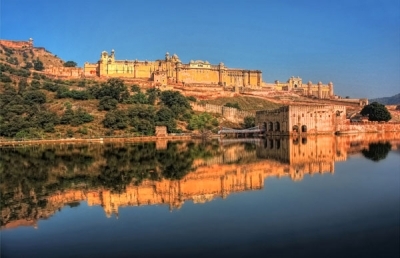 The Fort’s expansion is attributed to Maharaja Jai Singh and underwent expansions for the next 150 years. 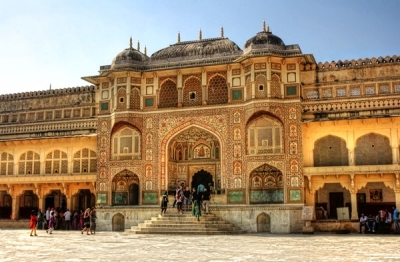 The fort is one of the major tourist attractions in Jaipur and is famous for its Hindu Rajput Architectural style. The massive gateways known as ‘Poles’ offer a magnificent welcome to its visitors and are adorned with murals and intricate stone carvings. The fort is a magnificent amber colored structure and a guided tour is a must to know the function of every gate, hall or apartment. The Light and sound Show that is organized by the state tourism department must be witnessed. The Fort was the more secure and fortified retreat of the Kachwaha Rajputs, and was built in 1726 by the Ruler Maharaja Jai Singh II. 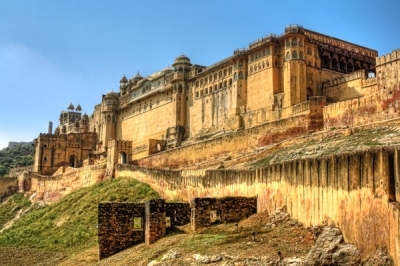 The fort was built in order to protect the Amber Fort complex which this structure overlooks from the hillocks above. 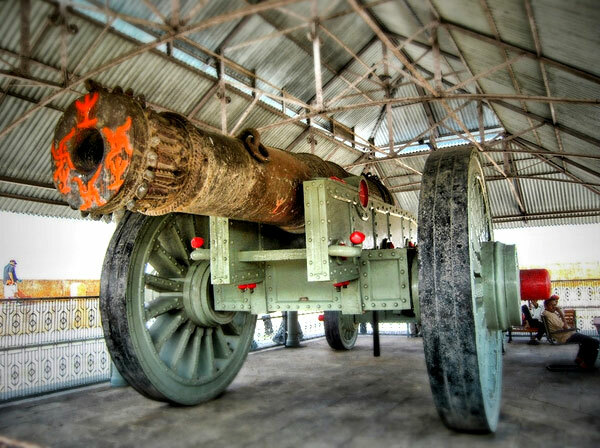 Due to the Kachwaha Rajput’s good relations with the Mughals, the Fort had one of the most effective cannon foundries in the world and produced some of the most massive cannons. The architecture and the design implemented in making the foundry was one of the most advanced methods of melting iron ore and its effectiveness is exemplified by the ‘Jaivana Cannon’ which is the World’s Largest Cannon of the Early Modern Era. The fort complex contains a brilliant water supply and storage facility. The Oldest Museum in The State was building in 1876 to welcome the Prince of Wales, Albert Edward and was named after him. However, the purpose of it functioning as a museum was resolved in 1881 and was opened in 1887. The structure of the building is a remarkable cross between the Hindu and the Gothic style Architecture and has some really fine stone carvings. The Museum has a massive collection of metal art, pottery, arms and weapons, ancient and scientific artifacts, furniture and wooden art, coins, garments and surprisingly an Egyptian Mummy. The city of Jaipur is known for one of the most elaborate of market places which are the reason for its widespread popularity. The market places or Bazaars were built by Sawai Jai Singh and the planning of the streets and corridors is amazing. Each market is characterized by a massive entry gate known as Pole and each area is known for different specialty handicrafts and other items. The shops are old and preserve the Hindu architectural style and the traditional Pink or Red sandstone color. While visiting the Bazaars one can also visit the Palace of the Winds or Hawa Mahal and the City Palace Museum which is built in a part of the current residence of the Royal Family. Visiting the old Temples in the city is a one of kind experience as well. The local street cuisine is also popular and can be tried along with a wide range of traditional Indian and Rajasthani food can also be tried at the innumerable eateries in the markets as well. Since the arrival of the Prince of Wales and the painting of the town in Pink, Jaipur is a city known for its hospitality. 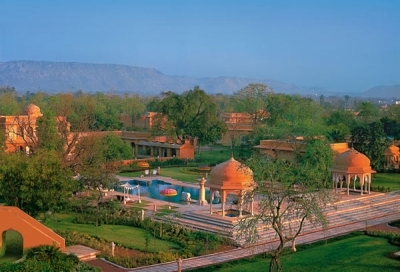 The city boasts of some of the top luxury hotels in India. The visitors are often welcomed in a traditional style at most hotels and the motto ‘Padharo Mahere Desh’ or ‘Welcome to Our Country’ in the local Rajasthani language is exemplified. Many of the Hotels are owned by the various descendants of the Royal Family tree or by corporations like WelcomeGroup (ITC), Oberoi and Sheraton etc. and with the growing tourist population many new luxury hotels like Radisson, the Lalit etc. have also opened in Jaipur. 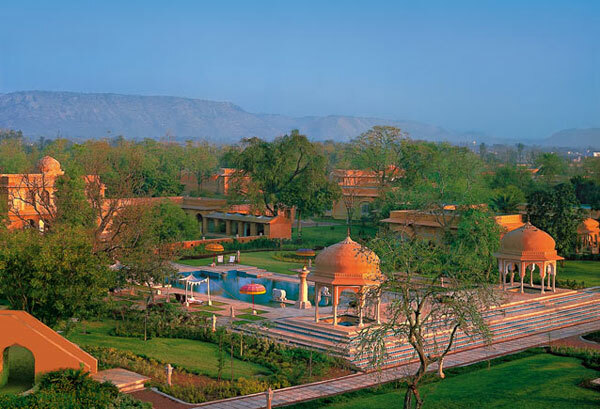 The best of the hotels you can visit that offer the most luxurious and traditional experiences are Rambagh Palace, Rajputana Sheraton, Raj Vilas, Mansingh Palace, Raj Mahal Palace and Clarks Amer. The village resort of Chokhi Dhani due to its traditional rajasthani attractions like the food and the village fair that includes dance shows, camel rides etc. is also an amazing must-visit spot. The City of Jaipur means the City of Victory and is one of the most illustrious cities in India. The unique culture and the hospitable people make it an experience like no other. Jaipur has over 200 attractions and being a resident from the past 27 years, I still discover something new about the town every single time I go out and explore it. Rohit Agarwal is an avid travel Blogger and maintains Trans India Travels, a website that provides information about the various attractions India has to offer. 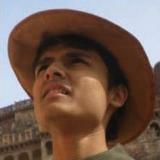 He is an architect by profession and likes to explore the different cultures in India and the world.